Back in 2018, Denver Restaurant Week pulled in some 240 participating restaurants, and for 10 days, diners were treated to some of the best the city had to offer for prices that made the value out of this world. The 2019 Restaurant Week promises to be just as thrilling, and if you’re looking to get in on the action, then keep reading. We’re going to be laying out all the particulars you’ll need to know in advance. 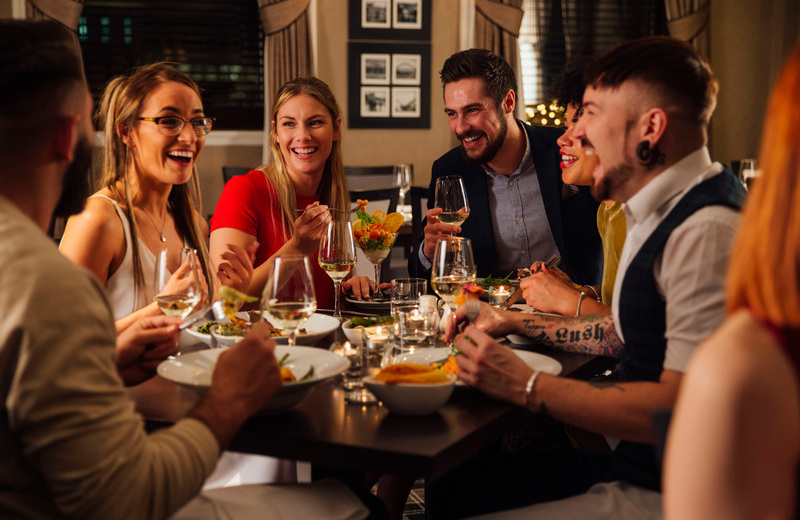 Denver Restaurant Week 2019, taking place from February 22nd to March 3rd, is the 15th year this delectable event. The premise during those ten days is simple. Hundreds of Denver restaurants will offer special meals at amazing prices ($25, $35 or $45) and you, the diner, will have a chance to head on down and grab a bite. Downtown — Artsy, hip, evolving, historic, and booming with new activity. You’ll find this vibrancy and energy reflected in the restaurants of the area as well. Downtown is divided amongst LoDo, Larimer, Riverfront, and RiNo-based restaurants. Uptown — Progressive, and home to some of the city’s best art and finest dining. Uptown also consists of Capitol Hill and East Colfax-based restaurants, covering a wide range of diversity. Golden Triangle — A largely creative district with some of Denver’s oldest neighborhoods and a “delightful mix of historic single family Victorian homes.” You’ll find a lot of history here, and should definitely check out restaurants in the so-called “SoCo” area for a treat. South Broadway — Also dubbed “SoBo,” this is where you’ll see those avant-garde clothing stores, galleries, and book dealers, along with a heaping helping of various ethnic restaurants that will add some much-needed flavor to your dining experience. Further categorized by Old South Gaylord and South Pearl-based restaurants. Cherry Creek — The “premier” shopping and dining neighborhood with approximately 320 independently-owned establishment. This area knows service and if you’re looking to keep it local, you’ll be hard pressed to find a better area to survey. Stapleton — Relaxed, dotted with parks, and with a real connection to the outdoors. You’ll find many a sidewalk cafe here, and a clear disconnect from the urban shuffle of other parts of the city. The dining scene here also includes Lowry and Northfield-based restaurants. West Metro — Decidedly contemporary, but with a touch of history that harkens back to Colorado’s past. You’ll find some of that Old West feeling in some of the establishments and even with some of the architecture, and there are a number of charming bars and restaurants for you to choose from. West Metro is divvied up among BELMAR, Golden, and Olde Towne Arvada-based restaurants. South Metro — These areas just outside of Denver are lush and vibrant, historic and diverse. You’ll have your pick of fine fare in this section, which consists of both Littleton and Park Meadows-based restaurants. Dark Horse Wine — Bold, flavorful wines, meticulously crafted in Modesto, California under the guidance of master winemaker Beth Liston. Great tasting, their varieties are affordable to boot. Louis M. Martini — Representing Napa and Sonoma is Louis M. Martini. The family name is one you may already recognize, and these days, Director of Winemaking Michael Eddy ensures every bottle is up to their exacting standards. Talbott Vineyards — Masters of the Burgundian varietals, this California winery brings a powerful offerings to the table in the form of their estate-grown Pinot Noir and Chardonnay, under the guidance of head winemaker David Coventry. William Hill Estate Winery — Another representative of Napa Valley, William Hill Estate Winery has both Chardonnay and Bordeaux varietal wines from their 140-acre vineyard. Chateau Souverain — Chateau Souverain has been in the wine game since 1944 and have built a legacy on the backs of their Cabarnet Sauvignon, Merlot, Sauvignon Blanc, and Chardonnay. New Amsterdam Vodka — 5-times distilled makes the vodka that much smoother, which is exactly the formula New Amsterdam Vodka follows. You’ll find their blend perfect for cocktails and sipping straight. Best of luck, and have fun when you’re heading out there for Denver Restaurant Week! When you’re living large in fantastic suburban apartments like The Palmer. Beyond the amazing aesthetic, you’ll enjoy fantastic residences and a level of resident comfort beyond anything you’ve experienced before. Ready to take the next step? Check out what’s available at The Palmer today, and make your move to a new style of living in beautiful Colorado.